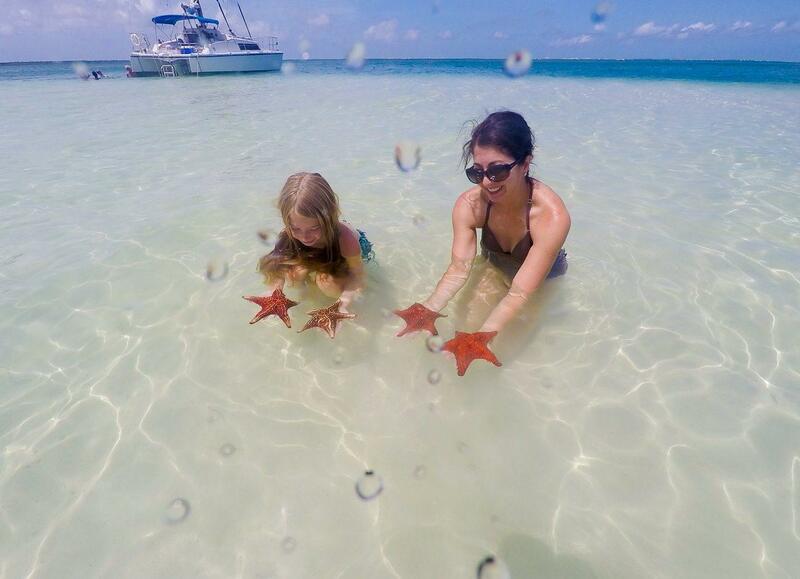 The Cayman Islands are the perfect combination of outdoor adventures and upscale relaxation. Three islands form the charming archipelago: the largest island, Grand Cayman, plus Cayman Brac and Little Cayman. Like other Caribbean destinations, the Cayman Islands are warm year-round, so finding the perfect time to visit is simple. Any good Caribbean vacation starts at the beach. Seven Mile Beach on Grand Cayman, named for its seven miles of soft, white sand, is the most famous spit of sand in the Caymans. Sunbathing, parasailing, and jet-skiing are popular activities. Just off the beach, an array of shops and restaurants are the perfect place to get out of the midday sun. Try Lauren’s in Buckingham Square for a delicious sandwich or the catch of the day. If you prefer a quieter retreat, Rum Beach on the North side of the island is the perfect oasis. After a day of fun and sun, accommodations on the Cayman Islands will not disappoint. The islands are known for their exceptional courtesy and vast array of creature comforts. Check out the luxury properties available at a site like https://www.exceptionalvillas.com/cayman-islands. Villas are available around the islands, so it is easy to find a convenient place to call home. After relaxing and recharging, outdoors-enthusiasts should hit the Mastic Trail, a 200-year-old path through ancient woods and mangrove swamp. Then consider getting to know the Caymanian wildlife with a tour of the Blue Iguana Safari in Queen Elizabeth II Botanic Park or the Cayman Turtle Centre, which is the largest land-based attraction in the Cayman Islands. Blue iguanas are found only on the Cayman Islands, and they can grow over five feet long. The Turtle Centre showcases green sea turtles as well as crocodiles, nurse sharks, and other native species. For a truly unforgettable experience, rent a kayak and paddle through Grand Cayman’s Bioluminescent Bay at night. The water is teeming with millions of illuminated microorganisms that give the water an otherworldly quality. The phenomenon is even more spectacular thanks to the Cayman Island’s lack of light pollution. Some tour companies even offer snorkeling in the bay. Incredible photo ops await adventurers, especially if you visit during a new moon when the bioluminescent glow is the brightest. A Caribbean vacation would not be complete without some tropical rum cocktails. Find out how your favorite spirits are made at the Cayman Spirits Co. Distillery in Georgetown. A 30-minute tour includes tastings of Seven Fathoms Rum, Gun Bay Vodka, and Governor’s Reserve Rum. Try a mudslide, made from vodka, Kahlua, and Bailey’s Irish cream—-the drink was invented in the Cayman Islands! For beer lovers, try the local favorite Caybrew. If a summer rainstorm catches you off guard, the National Gallery Cayman Islands is the perfect place to escape. The museum collects and exhibits art from the Cayman Islands, and the contemporary, tropical-themed arts and crafts will keep you in a Caribbean mindset even on a cloudy day. The Cayman Islands offer diverse options for travel of all types. Come experience the magic and the beauty of island-style accommodations today.